Adelino has a beautiful smile, but when he speaks of the cyclone which ripped apart his community – his world – his eyes betray the suffering he’s seen. 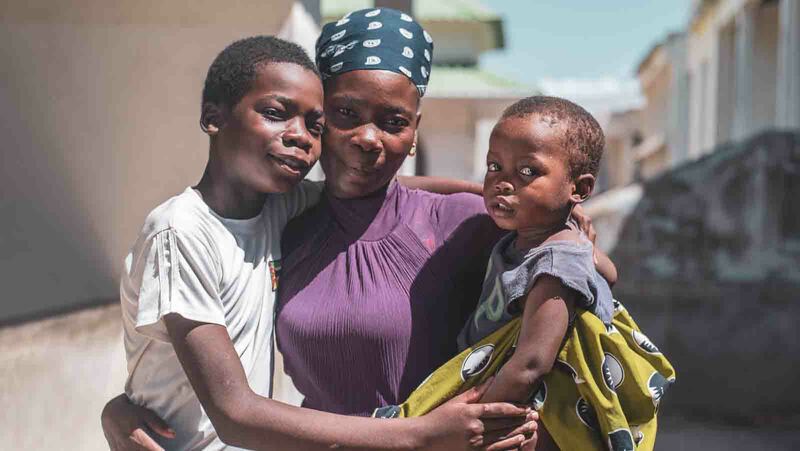 At just 14 years old, he’s now living in a school in Beira, Mozambique, after being forced to flee his home when it was torn apart by Cyclone Idai. He remembers the sounds of the angry wind whirling around their bamboo house, and the zinc roofing flying off as the storm took hold. 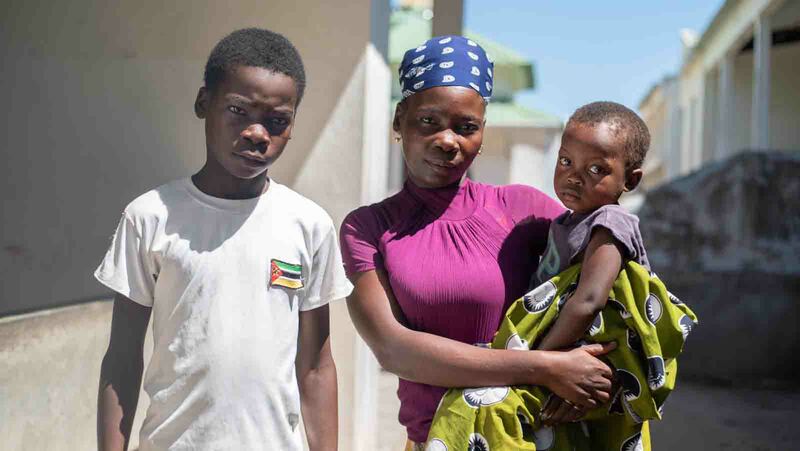 He and his brothers Almeida (16) and Paolo (8), along with their mother Louisa and sister Cinda (3), fled to a neighbour’s house – but the roof of their home soon blew off too, and one of its walls collapsed. All this time Adelino was terrified for his uncle – a fisherman who had gone out to sea that day. More than a week since the storm struck, the family still haven’t heard from him; they fear he was killed by the raging storm. Many families here say they weren’t given any warning that the cyclone was coming, so had no chance to flee. “We were scared, we didn’t know how to reach a safe place,” Adelino remembers of that night. Eventually, around midnight, they managed to find shelter at the school, and have been living there ever since – sleeping alongside hundreds of others with no home to go to. “I want to go home,” he says. “Here, people fight for food”. Adelino’s mum packed what she could amid the chaos of fleeing, but managed only a change of clothes and enough food for one meal – which was gone by the second day they were displaced. Here at the school, there’s often not enough to go around, and stealing is common. People are living in extremely cramped conditions; sleeping on floors back to back, without any privacy and very few bathrooms or washing facilities. Disease is likely to spread soon – and fast. We saw women washing dishes in dirty water, using straw and mud, and kids walking around in the dirt bare-footed, their clothes ripped and torn. Disasters like this one are breeding grounds for waterborne diseases like cholera and typhoid – and malaria is already endemic in this area. Children are incredibly vulnerable already – for them, this is a crisis on top of a crisis. The school will reopen at some point, and families like Adelino’s don’t know where they’ll go when that happens. For now, they’ll have to take each day as it comes.